Come join Ableton at this year’s South by Southwest Music and Media Conference in Austin, Texas. You’re invited to a series of free workshops and tutorial sessions – all in an intimate, informal setting with Ableton product experts and Certified Trainers hosting the proceedings. Push and its sampling capabilities will be one of the main topics of discussion and in addition to several demonstrations you’ll be able to try out the instrument for yourself in the Push Playground area. Other sessions will cover making music using Link and iOS apps, as well as creative strategies and how they can improve your workflow. 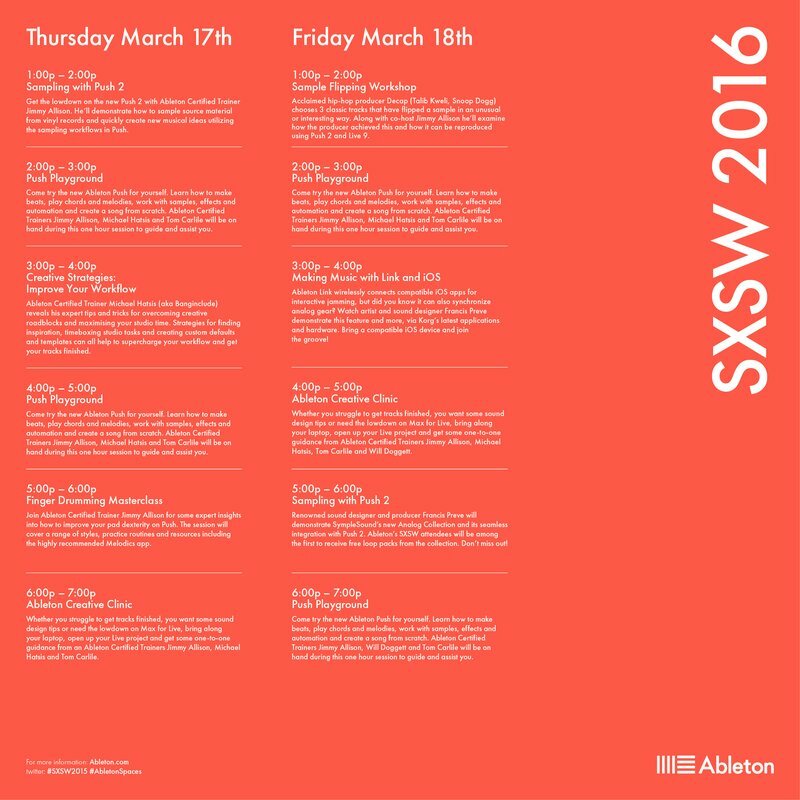 It’s all going down on Thursday and Friday, March 17th and 18th at the Ableton Open House – East 3rd & Attayac, in Austin. See the detailed schedule below. 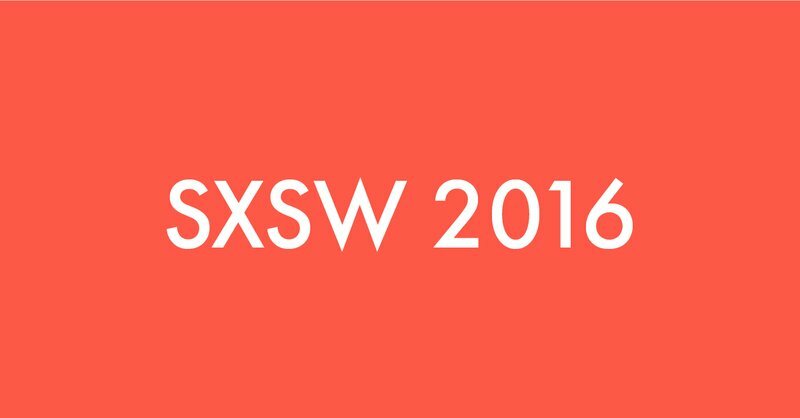 All events are free and a SXSW music badge is not required, however we ask that you register via the links below. Register for any of the events on Thursday, March 17th here and for Friday, March 18th here.